Trenton began his sales career in the financial services industry in 2005 as a financial consultant. He diligently assisted his clients in achieving their financial goals by providing strategies tailored to their specific needs for retirement planning, income distribution planning, asset management and risk management. In 2011, Trenton decided to fulfill his interest in Commercial Real Estate and joined Sperry Van Ness. During his 4 years at Sperry Van Ness, Trenton worked closely with owners of multi-tenant retail shopping centers who had interest in buying additional properties or to assist his clients in selling their existing retail investments. 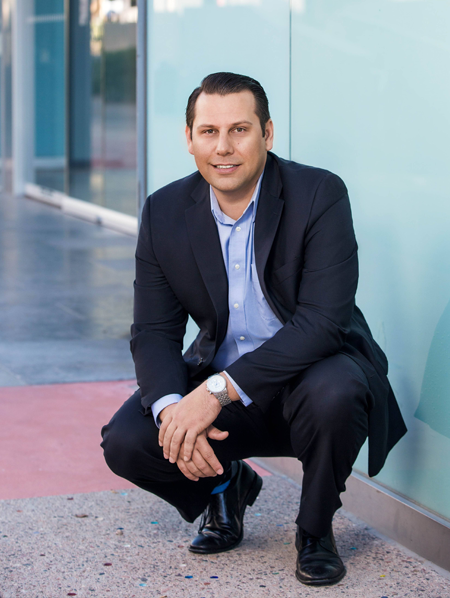 In early 2015 he joined LevRose Commercial Real Estate, where he continues to focus on retail investment sales. Knowing that his client’s needs are much greater than investment acquisitions and dispositions, Trenton continues to work closely with other retail specialist that focus on tenant representation and landlord representation. This allows him to assist his clients on all fronts when it comes to creating strategies to help them achieve the highest value possible for their investments. Trenton is a Northern Arizona University alumni and holds a Bachelor of Science in Business Administration, Finance and a Certificate in Investments. During his financial services career he held his Series 7 and 66 FINRA registrations, as well as an Arizona Life & Health Insurance License. He is currently a member of ICSC and is working towards his CCIM designation. Trenton is an Arizona native and currently resides in Central Phoenix and enjoys spending time in the mountains fly-fishing, skiing, or camping with friends and family when he has free time.